A small “resort,” perched on the hillside overlooking the island, Papaya Phi Phi offers privacy, incredible views, and a location away from Phi Phi’s “colorful” nightlife. 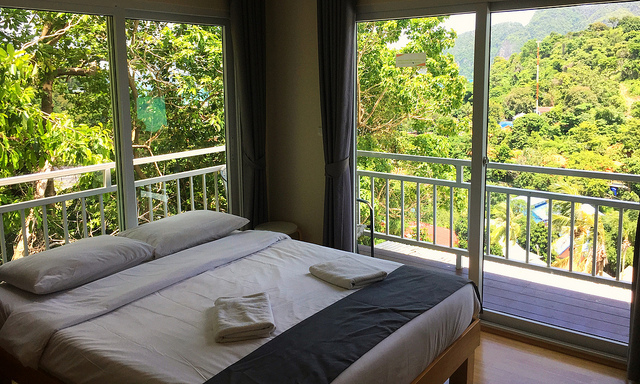 The rooms are clean, small and simple and include a balcony with incredible ocean views that are postcard-worthy. Breakfast is available for an additional fee and is delivered each morning to enjoy in-room. Check out our blog on the Andaman Coast.